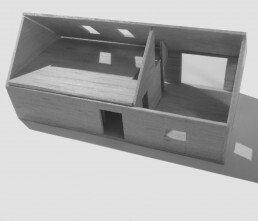 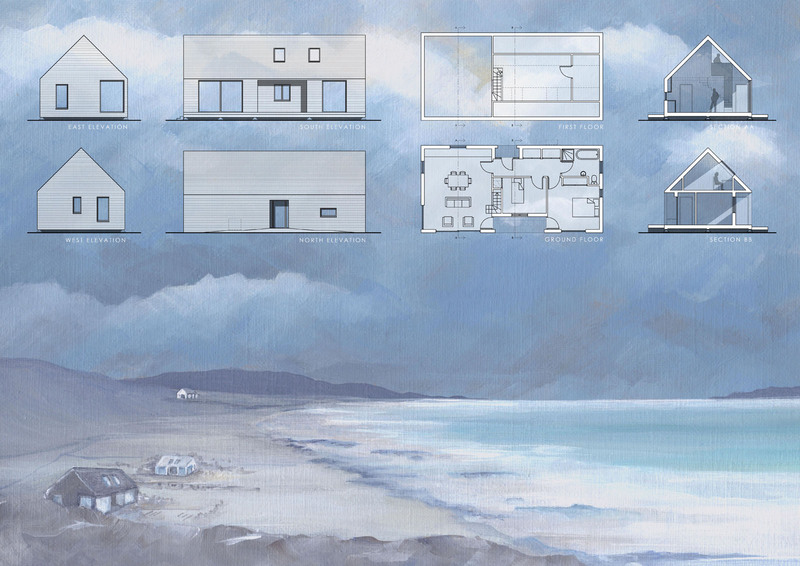 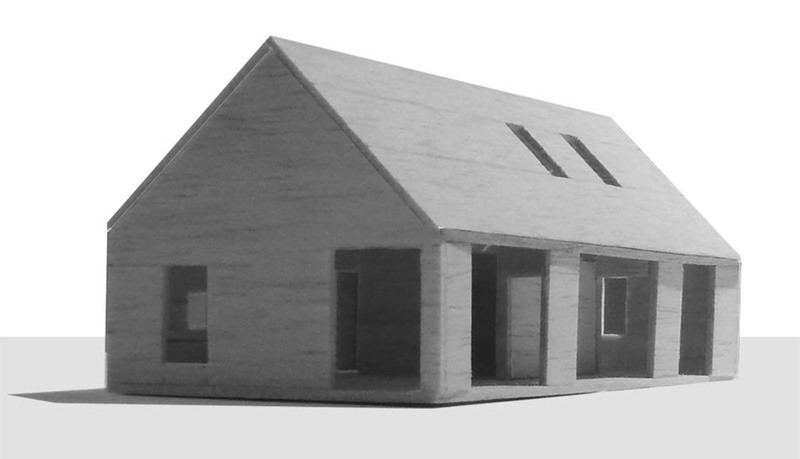 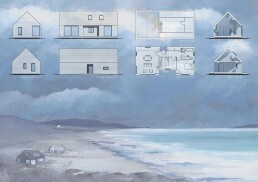 A simple detached prototype house on a Hebridean island has the essential accommodation provided on one floor (72sqm) suitable for all abilities, with an open plan living area, master bedroom, second bedroom, bathroom and storage. The light, airy living space is open to the apex, a small stair leads to an additional a multi-purpose room (24sqm); a den, home office, playroom or guestroom – that extra space so desirable in an isolated location. 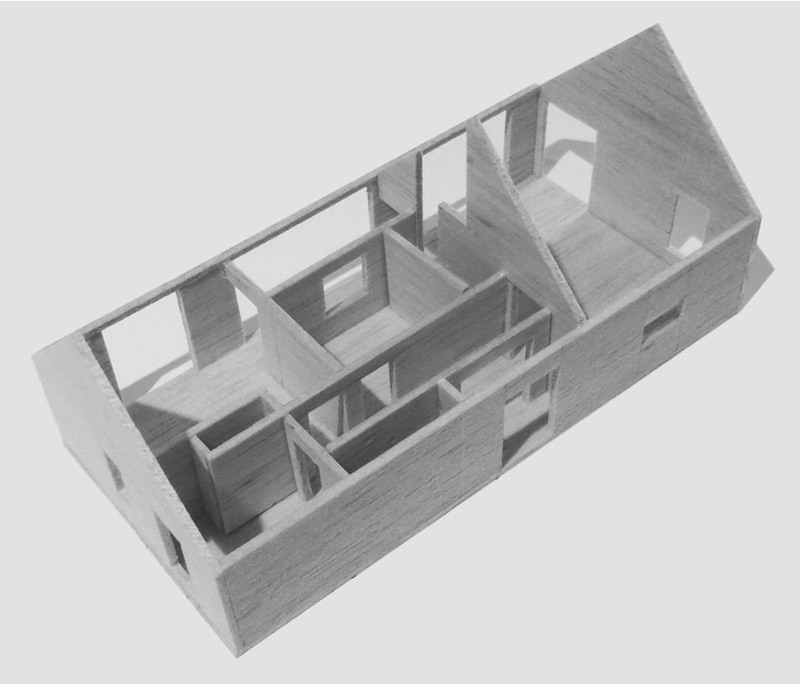 The entrances are set back from the facade providing buffer spaces and shelter, on the northern elevation with room for storing outdoor kit. On the southern elevation, the covered deck gives outdoor living space. The compact floor plan has minimal circulation and requires little change should the building be extended/become semi detached/terraced. 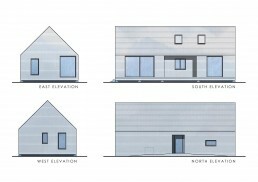 The design becomes personalised and site appropriate though the areas of self build particularly in the internal fit-out and external cladding system allowing for a variety of materials and colour. 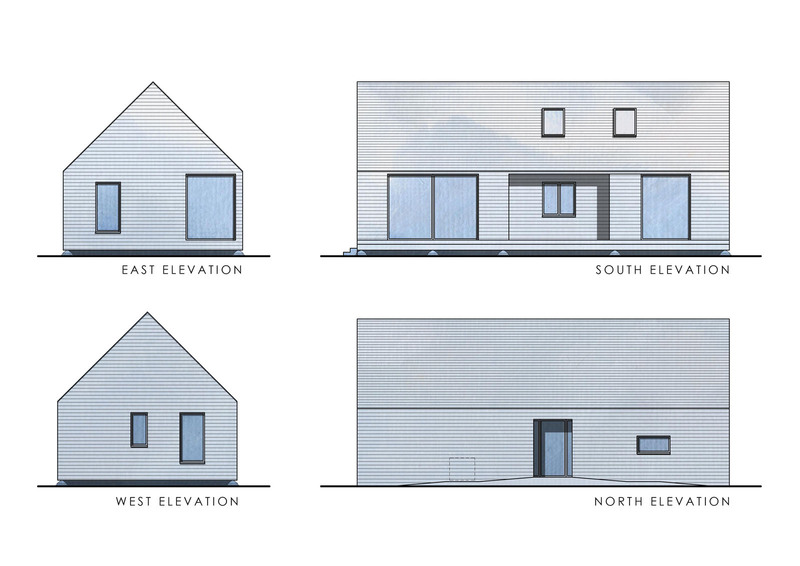 The building form reflects the local typology – low ridge, minimal external surfaces, and larger openings orientated for solar gain and views. 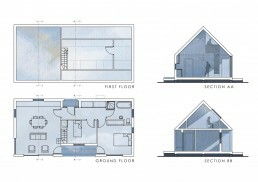 A simple to erect construction and foundation system allows for flexibility in site topography.